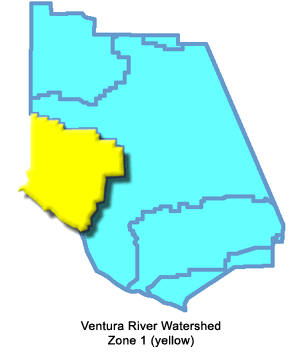 The Ventura River and its tributaries comprise the major watershed in Flood Zone 1 comprising the west-center portion of Ventura County. Significant tributary creeks to the Ventura River include Matilija Creek, North Fork Matilija Creek, Coyote Creek, Senior Canyon, Reeves and Thacher Creeks, Lion Canyon, Coyote Creek, San Antonio Creek, and Cañada Larga. The Ventura River Watershed comprises an area of approximately 223 square miles, with a little less than half of it within the Los Padres National Forest. 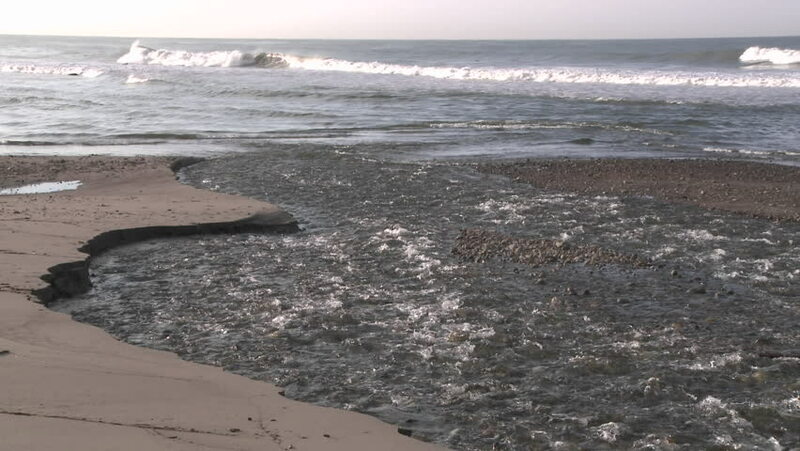 The Ventura River discharges directly into the Pacific Ocean and serves as the natural western boundary for the City of Ventura. Zone 1 boundaries incorporate two of the Supervisorial Districts for Ventura County (District 1 and District 3), with Supervisor District 1 covering a majority of the zone. Annual weather conditions are characterized by warm summer daytime highs often tempered by ocean breezes and cool clear winter nights. Frosts are rare in the near coastal region but can be a problem for agricultural operations in inland valleys and elevated mountain portions of the watershed. Due to what is known as a “rainshadow effect”, cloud systems moving inland off the Pacific Ocean soon encounter the steep mountains located only 1 to 2 miles from the coast and must discharge a majority of their contained weighted moisture before these clouds can rise to continue moving inland. This results in Zone 1 receiving the most rain in Ventura County with nearly twice the amount compared to any other area or zone. Average annual rainfall for the drainage basin upstream of Matilija Dam is 23.9 inches per year while the average annual rainfall near the mouth of the Ventura River is approximately 16.9 inches per year. Overall average measured rain for the entire watershed is approximately 20 inches per year. Extreme seasonal variation in rainfall means over 90 percent of any given year measurement is recorded between the months of November and April. Peak historic rainfall intensity was over 4 inches per hour measured during a 15-minute period at the Wheeler Gorge rain gauge located in the mountains adjacent to Ojai Valley. North-South crustal compression resulting from plate tectonic movements has contributed to once-horizontal rock layers being uplifted to near-vertical in many cases, and even overturned in some extreme folding or faulting situations. These highly folded mostly marine sedimentary rocks typify steep slopes in the upper portion of the watershed north of the Ojai Valley, and present significant barriers to the natural north-to-south flow direction of the Ventura River as it tries to reach the Pacific Ocean. Somewhat unique to stream systems, the Ventura River is what Geomorphologists call an “antecedent stream”. This is a stream that maintains its original course and pattern by downcutting at the same rate the underlying rocks are being uplifted. In this case, that’s about 1/4 to 1/2 inch per year of erosion cancelling out the same amount of vertical crustal uplift. Constant erosion rates therefore produce a large volume of sediment supplied to the Ventura River from upper-elevation tributary streams. Mass wasting from erodible, colluvial soils on hillsides, including slides, slumps, debris flows and earthflows, is a common mechanism by which sediment is transported to the river channels. Sediment production in the area is also impacted by the occurrence of more frequent than desired forest fires that burn off and clear the normally dense vegetation on slopes and flatter areas within the watershed. All that debris (rocks, boulders, sand and mud) greatly increases the erodibility and grinding of the creek bottoms and natural stream channels (US Army Corps of Engineers, 2004). The watershed topography is characterized by rugged mountains in the upper basins transitioning to relatively flat valleys in the lower downstream areas. Over 75 percent of the Ventura River Watershed is classified as rangeland covered with shrub and brush and 20 percent of the basin is classified as forested. 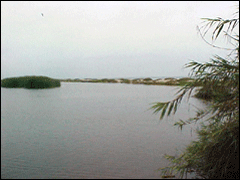 In general, the highest sediment-producing parts of the watershed are those covered in shrub and brush and are located in the upper parts of the watershed where slopes are greater and annual rainfall is larger. Nearly 45 percent of the watershed can be classified as mountainous, 40 percent as foothill, and 15 percent as valley area. 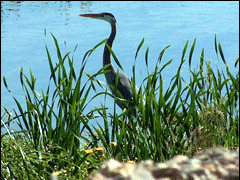 Two major reservoirs lie within the watershed, Lake Casitas and Matilija Reservoir. Both serve as water supply reservoirs, with Casitas Dam located on Coyote Creek about 2 miles upstream of its confluence with the Ventura River. 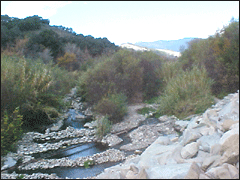 There are five debris basins that collect sediment from drainages before they enter the mainstem Ventura River. 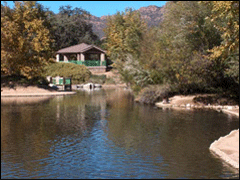 Live Oak, McDonald and Dent Canyon basins are on direct tributaries of the Ventura River. There is one on Stewart Canyon, a tributary to San Antonio Creek, and another partially destroyed basin on upper San Antonio Creek. Major communities in Zone 1 include the City of Ojai, community of Oak View, and the western part of City of San Buenventura. Total population in these communities in year 2000 was approximately 22,988, excluding the western portion of the City of San Buenaventura and County inhabitants (USACE, 2004). 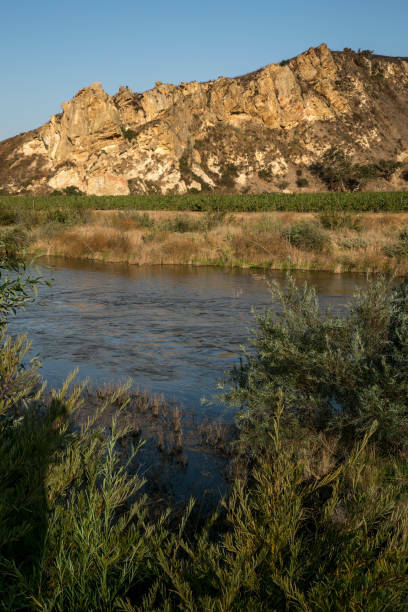 The Ventura County Watershed Protection District (VCWPD) is proposing to construct a new bypass storm drain facility to transport floodwaters, sediment, and debris from Fresno Canyon to the Ventura River. The purpose of the project is to reduce the risk of flooding in the community of Casitas Springs and potential flooding closures of State Route 33. A Draft Environmental Impact Report (EIR) was prepared for the project and public comments were solicited from December 17, 2013 through January 30, 2014. VCWPD prepared responses to comments received, and incorporated revisions, as needed, into a Final EIR for the project. The Ventura County Board of Supervisors adopted the Final EIR and approved the project at a public hearing on May 13, 2014. VCWPD is currently preparing the final design plans and obtaining regulatory permits for the project. Construction is anticipated to start in 2018 and will take about eight months to complete. To provide a systematic process for the inclusion of projects into the District’s Capital Improvement Plan over its five-year planning period. To improve the long-range District planning process for the 20-year period subsequent to the Capital Improvement Plan by allocating projected revenues to identified projects. The IWPP also provides a Level-of-Service evaluation that identifies the need for additional project funding to achieve desired flooding mitigation goals. The IWPP process achieves these objectives by developing a prioritized project list after gathering information about the existing flooding, operations and maintenance, drainage facility deficiency, access, or environmental concerns in the District. Projects are proposed to address the concerns, and the projects are ranked relative to each other using a scoring matrix. The resulting list of prioritized projects are allocated anticipated revenues for project construction over a 20-year planning period. The highest priority projects are subjected to further study and, if the proposed alternative is found to be cost-effective and environmentally-friendly, the project can be selected for inclusion into the Capital Improvement Plan. The prioritized IWPP project list with revenue allocations provides the tools for a Level-of-Service evaluation. The evaluation compares the total projected revenues to the total project construction costs for the entire project list and identifies any shortfalls in funding. With the Level-of-Service evaluation, the District, their Board of Supervisors, and stakeholder groups can recognize the need for additional funding and pursue alternate funding sources when necessary to meet flood-alleviation goals. For Zone 1 a total of 33 projects have been identified, with a total construction cost in 2009 dollars of about $48 million. Of this total, the available revenues over the planning period allow the construction of 19 projects costing approximately $33 million in 2009 dollars. Therefore, approximately 68 percent of the total cost of the identified IWPP projects is projected to be available during the planning period. Many of the projects included on the IWPP project list will be updated in conjunction with the watershed protection plans currently under development for the major river systems in the county. Until the plans are finished however, the IWPP process will be used by the District to generate the project list to be used in the Level-of-Service evaluation and to include projects into the five-year Capital Improvement Plan. Integrated Watershed Protection Plan projects are prioritized by the District’s Planning and Regulatory Division, with input from the Design and Construction Division, and stakeholder group recommendations. The stakeholders are currently primarily comprised of planning and engineering staff from the various cities. As the IWPP process matures and work on the watershed protection plans proceed, it is expected that the stakeholder group will expand to include environmental groups, business owners, regulatory agency staff, and other interested members of the public. An interactive program has been developed by the District to present the projects to the stakeholder group. Each stakeholder will be provided with a CD that contains this interactive program. With this program, users will be able to view a map that shows the locations of the funded IWPP projects based on the projected revenue allocations. The user can click on a proposed project location and receive detailed information about that project. The IWPP is updated annually to replace the projects that have been selected for inclusion into the Capital Improvement Plan and to include new projects that have been identified during each fiscal year. The revised project list is reprioritized, and projected revenues are reallocated to the revised list. Thus, the IWPP is a living document that reflects changes in District revenues and priorities as well as stakeholder contributions. Working in close partnership with the Ventura River Watershed Council (VRWC), the local community-based Waste to Energy (W2E) project stakeholder group, the Ventura County Resource Conservation District (VCRCD), and interested public agencies, the Ventura County Watershed Protection District (VCWPD) spearheaded the preparation of a focused feasibility study on the use of a biodigester to convert organic wastes generated in the Ventura River Watershed to energy and other useful byproducts. At the request of W2E and the VRWC, VCWPD agreed to serve as project manager for this State grant-funded biodigester focused feasibility study project. W2E and WPD leveraged a pledge of $25,000 in professional “in-kind” study project services as the minimum local match required to gain $75,000 in Proposition 84 State grant funds for the feasibility study. The Ventura County Board of Supervisors approved the Prop 84 State Grant Sub-Agreement with the VCWPD in September of 2011. AECOM was ultimately selected by the VCWPD to perform the study, and a consulting engineering contract was executed in February of 2012. Under that contract, AECOM performed focused technical evaluations of the use of a biodigester, along with complimentary material handling processes, which are designed to convert local organic wastes (including green waste, food waste and horse and cattle manure) generated in the Ventura River Watershed into energy and other useful byproducts. A DRAFT Final Feasibility Study Report deliverable was completed in June of 2013 [See the third entry in the bullet point list of URL-links below for a PDF copy of the report]. The technical report evaluated and documented possible anaerobic digestion technical processes and complimentary materials handling strategies that might be technologically feasible, operationally viable, and economically sustainable given existing organic waste generation conditions in the Ventura River Watershed. Below you’ll find a link to the following study document for your information and review. The DRAFT Final Feasibility Report provides local decision makers, project stakeholders, members of the watershed community and the public in general with documented technical and project plan information useful in helping frame project evaluation issues and potentially make future public-policy decisions regarding possible actions to implement Study recommendations, as appropriate. Responses to written comments received during the 15-month study process, including the three public workshops referenced above, are included in Appendix G to the Final Report. The DRAFT Final Feasibility Report is considered substantially complete and is scheduled for final publication by the end of September 2013. If you wish to submit any written comments on the DRAFT Final Feasibility Study Report, they should be submitted to Ryan Gallagher, AECOM at Ryan.Gallagher@aecom.com by no later than July 31, 2013. Submittal of the Study’s Final Report deliverable to the Department of Water Resources (DWR) will constitute completion of the District’s obligations under the terms and conditions of the Prop 84 IRWMP – Planning Grant – Round I – Biodigester Focused Feasibility Study Project.